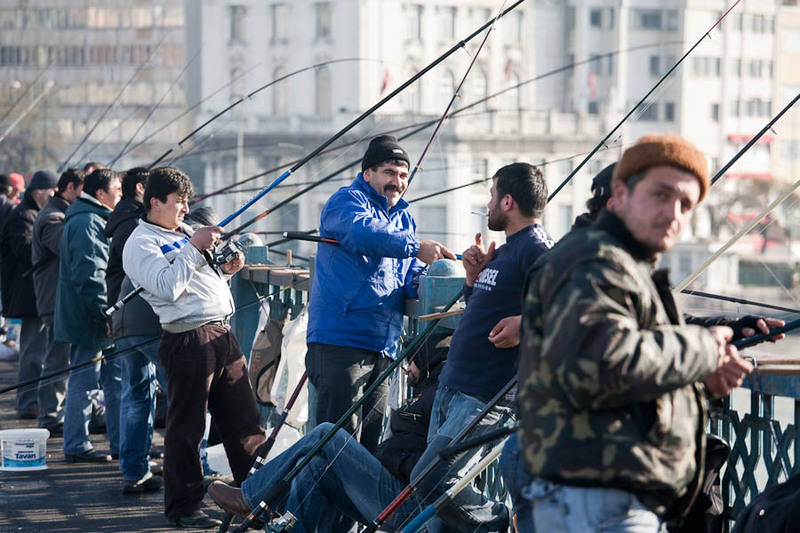 Fishermen on the Galata bridge in Center Istanbul, Turkey. Sunday morning in Old part of the city, and sa you can see there is hundreds of fishermen trying to get something out of the Golden corn, a part of the Bosphorus going inside the city. Depite the fact that lot of people told me that Marmara sea was highly polutted, they also said that this piece of water is believed to be safe. well I have a bit of doubts. Anyway it was a nice walk in the morning fresh air.